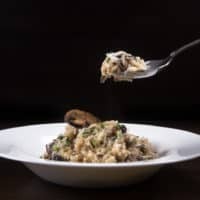 Cook this Easy Delizioso Instant Pot Mushroom Risotto Recipe (Pressure Cooker Risotto). 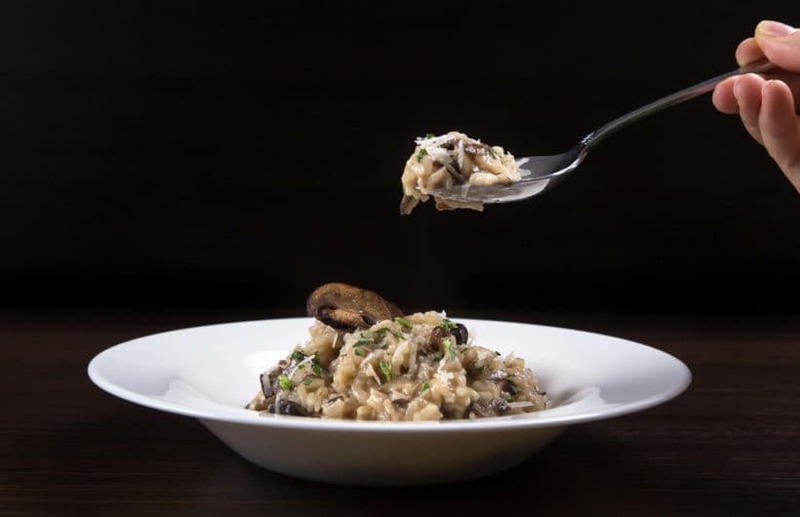 Creamy cheesy risotto with umami mushrooms mixed in al dente arborio rice. The luxurious mouthful sensation is soo comforting & satisfying! Jacky & I jumped on the opportunity to party a little at a local Italian street festa celebrating Italian culture. We’re overwhelmed with all the lovely people, the loud music, the amazing food, and the passionate dancing. What jumped out at us the most was the deep inspiration from Italian’s love for family, love for food, and love for life. These are the very things we hold dear to our hearts! 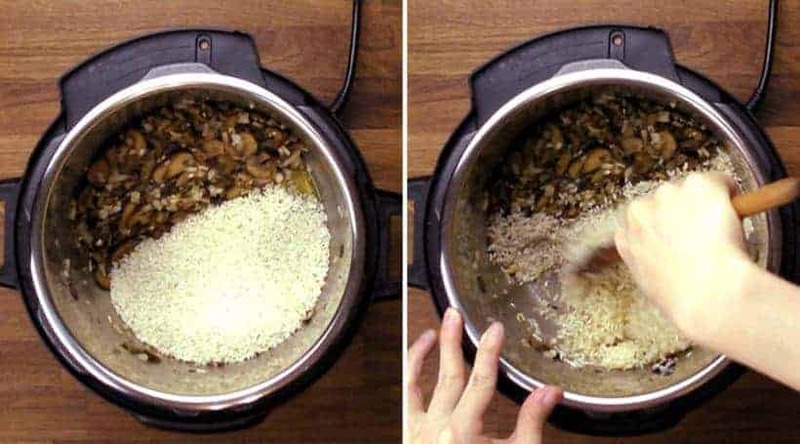 Enjoy a little taste of Italy with our Delizioso Instant Pot Mushroom Risotto Recipe! No need to tend the pot with careful continuous stirring!! Prepare the ingredients as listed. In a 2-cups (500ml) glass measuring cup, submerge 3 (22g) dried shiitake mushrooms into 400ml warm water for 20 – 30 minutes. Place something on top to prevent the mushrooms from floating. After 30 minutes, squeeze out the water in the shiitake mushrooms back in the glass measuring cup, then slice the mushrooms. Set the mushroom soaking liquid aside as you will need it later. Heat up your pressure cooker over medium high heat. 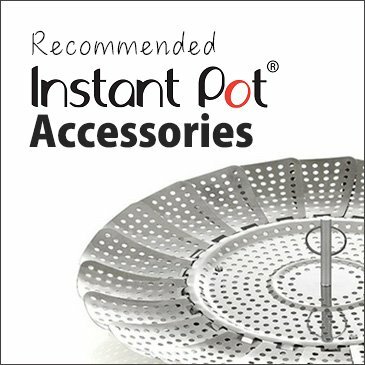 Ensure your pot is as hot as it can be. 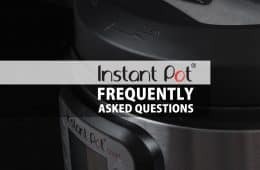 Instant Pot: wait until indicator says HOT. Pour 2 tbsp (30ml) olive oil and 2 tbsp (29g) unsalted butter in the pressure cooker. Ensure to coat oil over whole bottom of the pot. Add in sliced cremini mushrooms and oyster mushrooms. Stir to evenly coat the mushrooms with butter. Mushrooms will start to release their moisture. At the 8-minutes mark, drain some of the moisture to speed up the process. Let the moisture evaporate completely, then season with 2 tbsp (30ml) light soy sauce and stir occasionally until mushrooms are slightly crisped and browned. *Pro Tip: This step will take roughly 17 – 22 mins (~12 mins on stovetop), but it will greatly enhance the flavor of the risotto. While the mushroom slices are sauteing, prep the remaining ingredients accordingly. 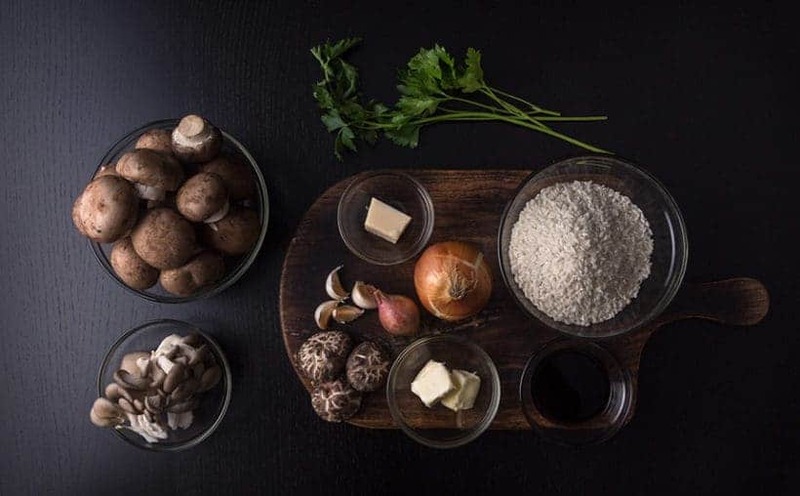 While the mushroom slices are sauteing, combine 1 tbsp (15ml) light soy sauce, 3 cups (750ml) unsalted chicken stock, and 1 cup (250ml) of the mushroom soaking liquid together in a glass measuring cup. Add diced onions & shallots, then saute until soften and fragrant (~1 minute). Add in minced garlic, then saute until fragrant (~30 seconds). Move everything to one side of the pot to create room for the oil and rice. Add 1 tbsp (15ml) olive oil & another 2 tbsp (29g) unsalted butter to the empty half of the pot. Add 2 cups (400g) arborio rice in the oil. Stir until the rice is evenly coated with the oil. Mix everything together and continue to stir. After 2 – 3 minutes, the edges of the Arborio rice should become translucent, while the center remains white. Add sliced shiitake mushrooms and mix well with the rice. Pour in ¾ cup (188ml) dry white wine, fully deglaze the bottom of the pot with a wooden spoon. Stir and let the wine boil for roughly a minute allowing the alcohol to evaporate. Pour 4 cups (1L) mushroom chicken stock in the pressure cooker. *Pro Tip 1: Now is a good time to make sure no rice or onion pieces stick to the sides of the pot. *Pro Tip 2 – For Softer Risotto: The above cooking time will produce al-dente risotto. So, if you prefer softer risotto, add an extra minute or two to the cooking time. Warm serving plates in the oven (we warm our plates in a 200°F toaster oven), this helps ensure the best risotto consistency when served. Your pressure cooked risotto should look runny (as shown in photo below). Stir to combine with a silicone spatula to form a creamy and smooth consistency. *Pro Tip: If it is too runny for your taste, stir and cook for another few minutes over medium heat (Instant Pot: press Sauté button). Add in 20g Parmesan cheese. Mix well. Taste and season with kosher salt and black pepper. Garnish with freshly chopped parsley + more shaved Parmesan cheese. 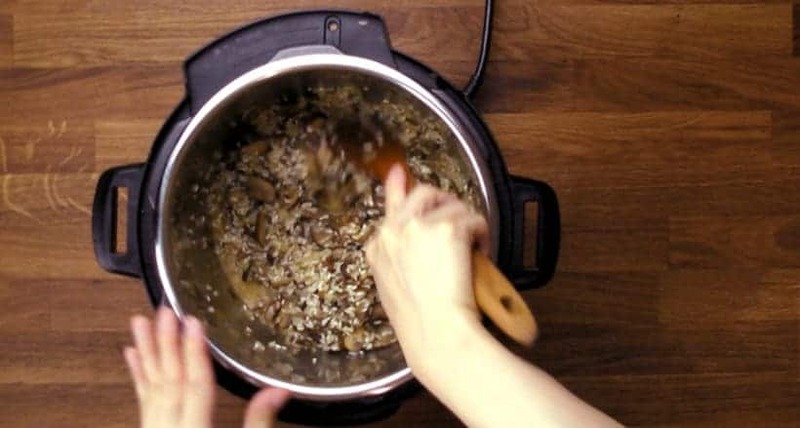 Instant Pot Mushroom Risotto is best served immediately. *Pro Tip: Take a bite and give an “Italian Chef Kiss” with your fingertips and say Delizioso Risotto. 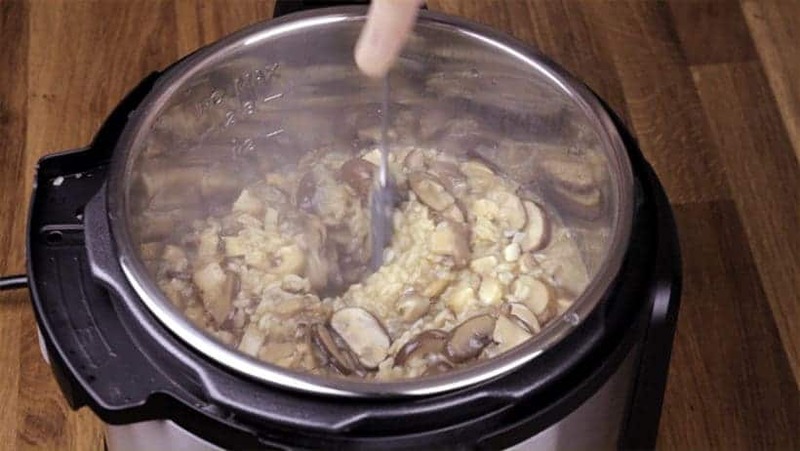 Easy Delizioso Instant Pot Mushroom Risotto Recipe (Pressure Cooker Mushroom Risotto). 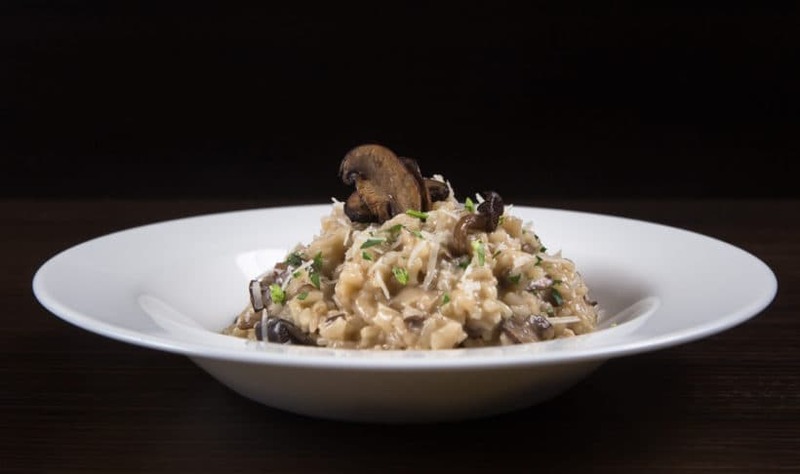 Luxurious, comforting risotto with umami mushrooms mixed in al dente arborio rice. Rehydrate Dried Shiitake Mushrooms: In a 2-cups (500ml) glass measuring cup, submerge 3 (22g) dried shiitake mushrooms into 400ml warm water for 20 - 30 minutes. Place something on top to prevent the mushrooms from floating. After 30 minutes, squeeze out the water in the shiitake mushrooms back in the glass measuring cup, then slice the mushrooms. Set the mushroom soaking liquid aside as you will need it later. 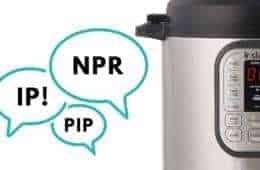 Prepare Pressure Cooker: Heat up your pressure cooker over medium high heat (Instant Pot: press Sauté button, then Adjust button once to Sauté More function). 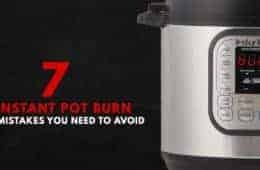 Ensure your pot is as hot as it can be (Instant Pot: wait until indicator says HOT). 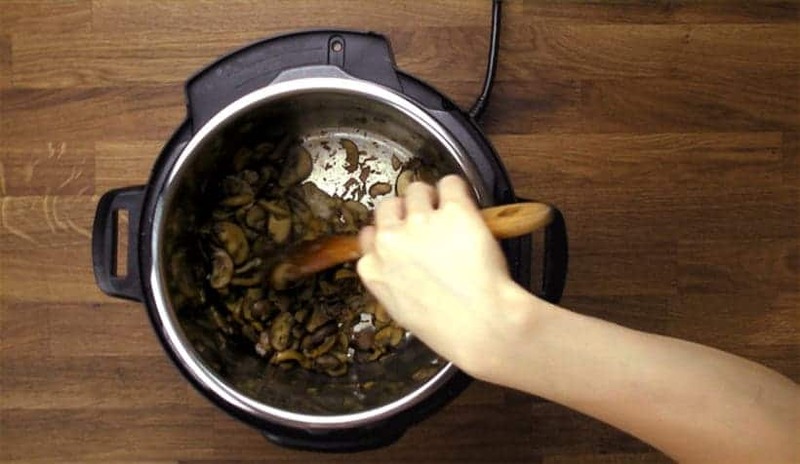 Sauté Mushrooms: Pour 2 tbsp (30ml) olive oil and 2 tbsp (29g) unsalted butter in the pressure cooker. Ensure to coat oil over whole bottom of the pot. Add in sliced cremini mushrooms and oyster mushrooms. Stir to evenly coat the mushrooms with butter. Mushrooms will start to release their moisture. At the 8-minutes mark, drain some of the moisture to speed up the process. Let the moisture evaporate completely then season with 2 tbsp (30ml) light soy sauce and stir occasionally until mushrooms are slightly crisped and browned. This step will take roughly 17 – 22 mins (about 12 mins on stovetop), but it will greatly enhance the flavor of the risotto. 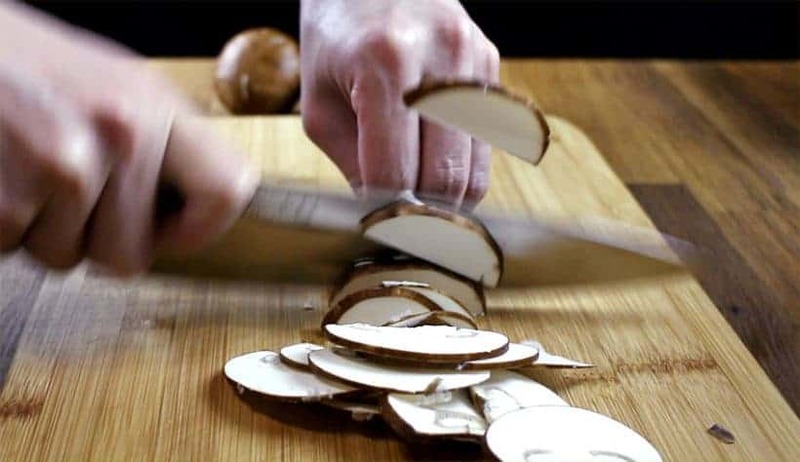 Prep Ingredients: While the mushroom slices are sauteing, prep the remaining ingredients accordingly. 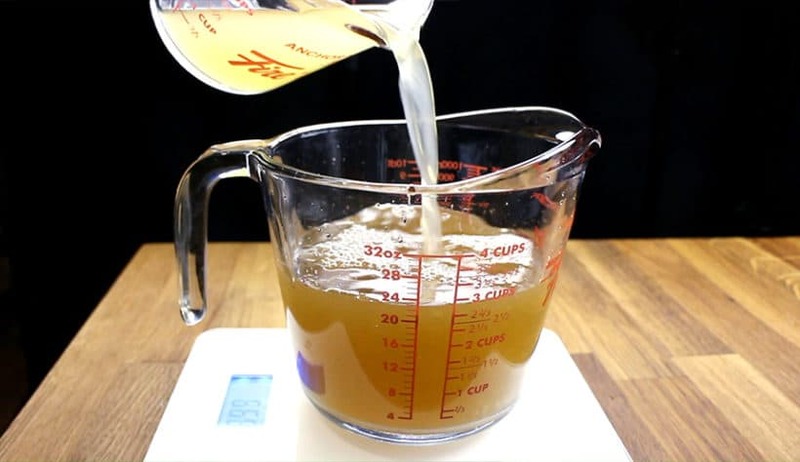 Combine Stock to Create Mushroom Chicken Stock: While the mushroom slices are sauteing, combine 1 tbsp (15ml) light soy sauce, 3 cups (750ml) unsalted chicken stock, and 1 cup (250ml) of the mushroom soaking liquid together in a glass measuring cup. Sauté Onions & Garlic: Add diced onions & shallots, then saute until soften and fragrant (~1 minute). Add in minced garlic, then saute until fragrant (~30 seconds). Move everything to one side of the pot to create room for the oil and rice. Add Rice and Season: Add 1 tbsp (15ml) olive oil & another 2 tbsp (29g) unsalted butter to the empty half of the pot. Add 2 cups (400g) arborio rice in the oil. Stir until the rice is evenly coated with the oil. Mix everything together and continue to stir. After 2 – 3 minutes, the edges of the arborio rice should become translucent, while the center remains white. Add sliced shiitake mushrooms and mix well with the rice. Deglaze: Pour in ¾ cup (188ml) dry white wine, fully deglaze the bottom of the pot with a wooden spoon. Stir and let the wine boil for roughly a minute allowing the alcohol to evaporate. 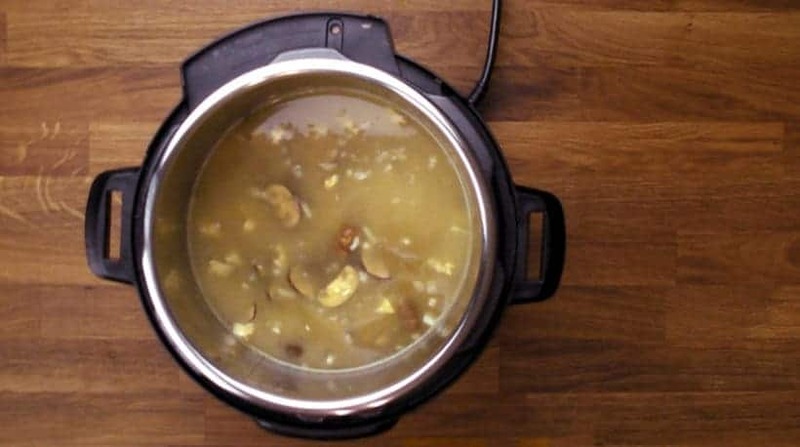 Pressure Cook Risotto: Pour 4 cups (1L) mushroom chicken stock in the pressure cooker. Now is a good time to make sure no rice or onion pieces stick to the sides of the pot. Close lid and pressure cook at High Pressure for 5 minutes + Quick Release. Open the lid carefully. For Softer Risotto: The above cooking time will produce al-dente risotto, so if you prefer softer risotto, add an extra minute or two to the cooking time. Optional Fancy Step - Warm Plates: Warm serving plates in the oven (we warm our plates in a 200°F toaster oven), this helps ensure the best risotto consistency when served. Reduce Risotto: Your pressure cooked risotto should look runny. Stir to combine with a silicone spatula to form a creamy and smooth consistency. If it is too runny, stir and cook for another few minutes over medium heat (Instant Pot: press Sauté button). Add in 20g Parmesan cheese. Mix well. Taste and season with kosher salt and black pepper. Serve: Garnish with freshly chopped parsley. Serve immediately with more Parmesan cheese. 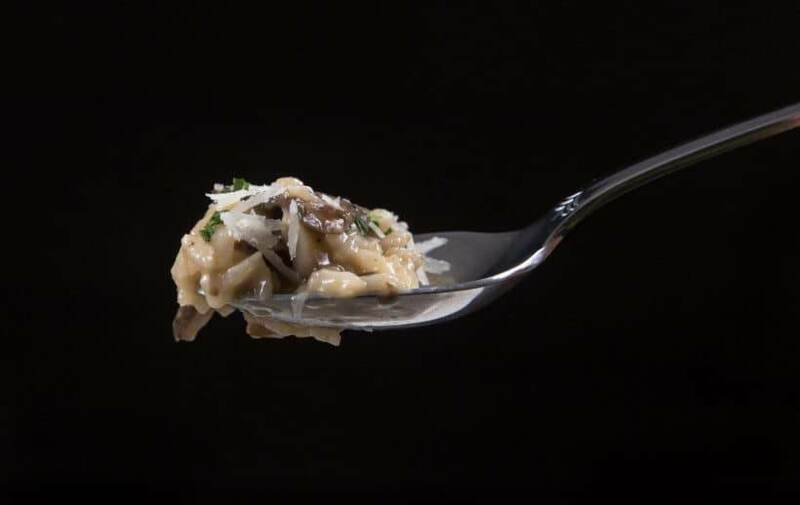 Take a bite and blow an “Italian Chef Kiss” with your fingertips and say Delizioso Risotto! Excellent. Extremely close to the 4 hour drive top version of my grandmother’s stovetop version. 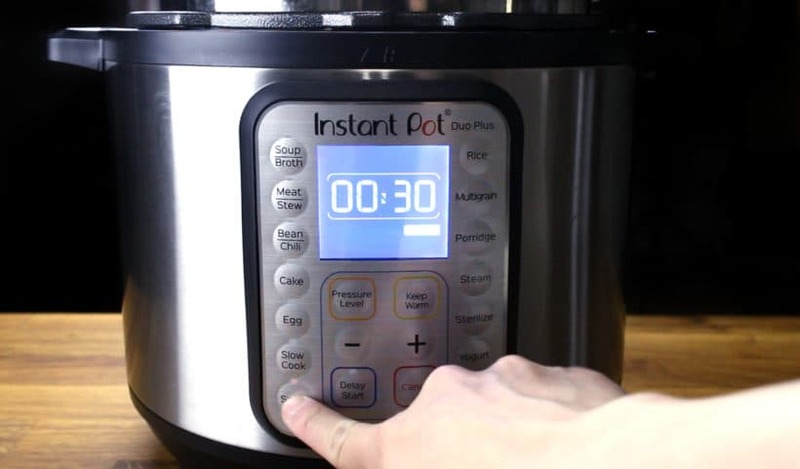 Have an 8 qt instapot. Can this be doubled? Does the cooking time change if it can be doubled? When I made a single batch, I used 6 cups broth for a more authentic risotto. If I double it, should this also he doubled? Concern d about cooking time ad I did single batch for 7 min with QR, but know with doubling, it will take longer to get to pressure. Like risotto soft- any ideas? Yes, you will want to keep the ratio. I recommend reducing the cooking time by 1 – 2 minutes for doubling. 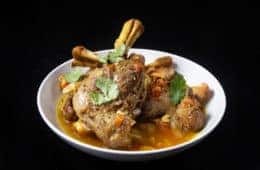 Could I substitute this recipe for Carnaroli rice? This has become one of my go-to recipes! The only big change I do is use my own homemade veggie stock made from my garden veggies. My husband has never liked mushrooms, but thanks to this recipe he is more open to them and loves this recipe. Also this recipe is a great excuse to open a great bottle of white wine! Cheers on the white wine! We made this tonight! Though I forgot to add salt, I found with the soy sauce & parmesan cheese, it’s salty enough for me! Of course, not for my other half [he’s a saltaholic]… living in a small town, I got the mushroom “mix” that had no shitakes as advertised… so couldn’t follow the recipe exactly. I gave it 7 mins & the texture was perfect! I even warmed the plates! Ty for all your hard work! OMG….this was almost as good as my Nana’s risotto. Risotto is typically very labor intensive and this was not. This was all we ate for dinner. And enjoyed every bite. As I type this we are waiting for your rib recipe to finish cooking. Love all your recipes. Thank you! I made this for dinner tonight and my family really enjoyed it. I really appreciated the detailed instructions. Its taken me a while to embrace the instant pot, but this recipe was great. I used fresh cremini mushrooms and dried porcini mushrooms because that is what I had on hand. I didn’t need to remove liquid at the 8 minute mark as indicated in one of the steps. I didn’t have any wine, so I deglazed with chicken broth. I look forward to trying more recipes from this site. Thank you! Thank you so much for your kind words & question. Here is the direct link to the printed version. Great Recipe! It was a little involved to make, but with the effort. We’ll defiantly make it again. My husband maken the risotto stovetop. Surprised him with this recipe I made today for Thanksgiving. I think he said about 5 times how much he loved it! Deglazing went well with the wine but watch out that it doesn’t start sticking again before you put in the broth. I also loved it!!!! Made this today and it was so good! I used dried porcini because that’s what I had on hand. It was the perfectly creamy texture of risotto I prefer. I’ll definitely make this again! Another one of your yummy recipes!!! So easy and delicious! I have on hand a dried wild mushroom melange I’d like to use. Can you advise on how many ounces/grams total of dried mushrooms I should use for this recipe? I’m guessing 22 grams x 3 since the recipe calls for 22 grams of the dried shiitake? Will any fresh mushroom be used? If so, roughly 22g – 25g of total dried mushrooms will be fine. I love every single one of your recipes and when I don’t find something on your blog, based on the ingredients I have available at the moment, I start to freak out 🙂 Can hardly trust anybody else’s recipes. That being said, can I cook this risotto with Jasmine or Basmati rice? I made this last night and like all your recipes I have tried it was a huge success! So easy and fast and the steps were really straightforward to follow. It tasted fantastic! Prior to this we made mushroom risotto on the stovetop and it involved a long time standing over it adding liquid progressively… extremely labor intensive! I couldn’t believe how quickly easily this came together. Will definitely be a regular meal for us. Thanks! Risotto is great in the IP! The boo sure loves this recipe, and I do too! I tried it with the multiple types of mushrooms as well as crimini alone and it’s quite good regardless (I just make sure my liquids measure up total 2 cups). I always half the recipe since it’s just two of us and I have no trouble. Thank you for making great recipes! you can replace it with vegetable stock or chicken stock. This recipe was fabulous in every way! And it cooked up so much faster than in a pot on the stove. Risotto is awesome in a pressure cooker! I wanted to come back and say that I did double the recipe per your instructions. I set it for 5 minutes (would have been 4 with minus one minute, if following your al dente recipe), because we like our risotto a little soft. It turned out *perfectly*. I made it for Christmas dinner for our extended family, and everyone loved it. I also added enokitake mushrooms for a little crunch (with the cremini and oyster mushrooms) and thought it was a nice addition. Also, I reserved the mushroom moisture and used that as part of my broth mix, and used less of the shiitake water. My only comment would be to clarify the part about 4 cups of the broth mix. Because you make 4.5 cups, but only use 4. I know it’s clearly stated there in the part about adding the mixture, but when scrolling on your phone (and for some reason, this page takes a while to load, and the page is always a little jumpy on my phone), one might miss it. When I was doubling the recipe, I automatically assumed I would need 9 cups. Thank goodness I went back to check one last time before adding it! Thank you for the lovely recipe! This will be a go to for dinner parties! That part is actually not that clear! Thank you for pointing that out to us. Very happy to hear the risotto turned out well hehe! 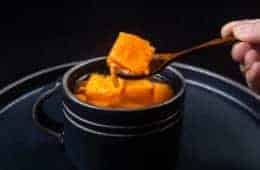 Can you advise on the liquid amount and cooking time to double this recipe in an 8 qt? The liquid amount will also have to double for this recipe. I would decrease the cooking time by 1 minute due to the longer get up to pressure time. I tried this recipe last night and it turned out great! My bf who normally doesn’t like risottos had 2 servings. 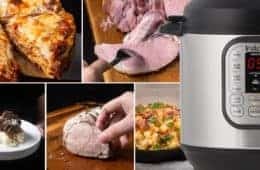 I want to make this for a dinner party, can I double the recipe in a 6 qt instant pot? Will the pressure cooker time be the same? so happy to hear how well it turned out! Doubling the recipe in the 6 quart will exceed the safety limit. The most I would recommend is 1.5x the recipe. The cooking time will stay the same! Just made it! Tasted excellent. Followed your recipe exactly. Cooked it for 7 min because I wanted risotto softer, however, when I did the natural pressure release, there was no steam. The risotto did not look runny like yours. The bottom was burned. I assume there was not enough water. Thoughts? Where did I go wrong? It could be the sealing ring not seating properly. This recipe is amazing…thank you for the detailed steps and advice. It came out beautifully. Thank you so much. Buenísimo! Nos ha encantado ? Thank YouTube very much! First, your writing and photos make your recipes come alive. The print feature is genius. I am also an Asian foodie in NYC/NJ. I socialize and dine fellow foodies, some of whom are well known in the restaurant and food publishing community. I made some adjustments to your mushroom risotto recipe to fit my personal taste and style. I added some anchovy paste to give the dish an umami boost. I sauteed the mushrooms, onions, etc. in my go-to All Clad chef’s pan. It’s simply much faster and easier than sauteing in the IP pot. I sauteed the aborio in the IP pot, then incorporated the previous ingredients. Increased the total liquid from your suggested 4.5 cups to 5 cups (I like a slightly runny risotto). High pressure for 6 minutes, then quick release. Added a cup of thawed petite pois for additional color and sweetness. Really good eats in a hurry. Thank you for your well developed recipe. Anchovy paste would definitely take this dish up a notch! Is there a substitute for the Chicken Stock that is vegetarian friendly? This looks so tasty, I am super excited to cook it! Vegetable stock will work as well! Hi! I have made several things from your site so far, all amazing. I went in search for a mushroom risotto recipe after having it at a restaurant, and I knew yours would be great so I gave it a try! I made a few changes, some intentional and some…less so, haha, but overall it was amazing!!! I used half the cremini mushrooms, half the dried, and no oysters – this was a result of not reading the recipe thoroughly before grocery shopping. I used water instead of unsalted broth because I didn’t have any. I also had to reduce the cooking time to 3 minutes because I didn’t realize I had forgotten the sealing ring (doh!). The rice sat there trying to come to pressure for about 15 minutes before I realized, so I added a little more liquid, re-sealed the lid correctly, and then reduced the cooking time on a whim. Absolutely delicious recipe and foolproof method of preparation. Risotto is a new concept to me in the kitchen but I was so convinced by the success of my first try that I ordered an 11 lbs. bag of arborio rice off of Amazon. Keep up the great work (and more risotto recipes if you have any)! It’s so good to hear from you again :)! As always, thank you so much for your kind words. I am so glad you enjoyed the risotto. 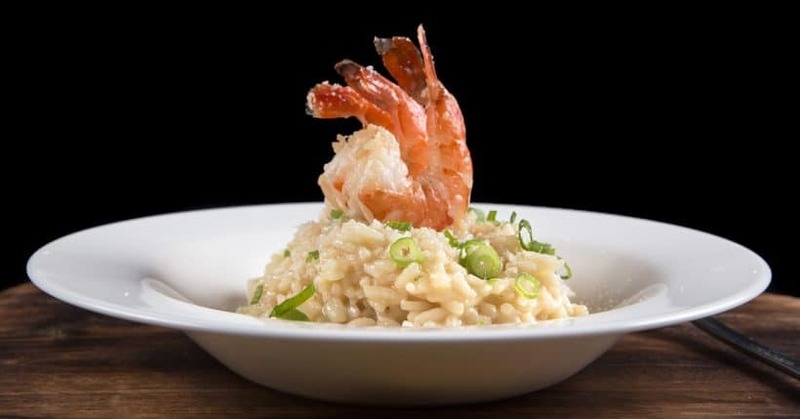 You have to try our Japanese-Italian fusion Shrimp risotto! Is there a substitute for then shiitake mushroom water? I have some spare already soaked shiitakes so I can’t soak it again. You can substitute it with chicken stock. Thank you so much for your kind words Anna! I’m wondering if you can substitute a brown rice or other more wholesome grain? Any thoughts? Risotto requires the rice to be very starchy like Arborio so brown rice and other wholesome grain will not work. I just made this (I get so excited when I get emails about new recipes from you guys!) and it is AMAZING! I ended up doubling the cheese at the end (because we’re Parm lovers) and serving on a hot plate like you recommended. It is heaven. Thanks so much for this recipe!!! It’s so good to hear from you again Yin!! This looks so yummy! What adjustments would I need to make to do half the recipe? Will the risotto freeze well? If so, then I can make the full recipe and portion it out into freezer containers for future meals. You can cut all the ingredients in half and the cooking time will remain the same. Risotto is best served fresh and on a warmed plate.